"Carbon fiber" redirects here. For fibers of carbon, see Carbon fibers. Carbon fiber reinforced polymer, carbon fiber reinforced plastic, or carbon fiber reinforced thermoplastic (CFRP, CRP, CFRTP, or often simply carbon fiber, carbon composite, or even carbon), is an extremely strong and light fiber-reinforced plastic which contains carbon fibers. The alternative spelling 'fibre' is common in British Commonwealth countries. CFRPs can be expensive to produce but are commonly used wherever high strength-to-weight ratio and stiffness (rigidity) are required, such as aerospace, superstructure of ships, automotive, civil engineering, sports equipment, and an increasing number of consumer and technical applications. The binding polymer is often a thermoset resin such as epoxy, but other thermoset or thermoplastic polymers, such as polyester, vinyl ester, or nylon, are sometimes used. The composite material may contain aramid (e.g. Kevlar, Twaron), ultra-high-molecular-weight polyethylene (UHMWPE), aluminium, or glass fibers in addition to carbon fibers. The properties of the final CFRP product can also be affected by the type of additives introduced to the binding matrix (resin). The most common additive is silica, but other additives such as rubber and carbon nanotubes can be used. The material is also referred to as graphite-reinforced polymer or graphite fiber-reinforced polymer (GFRP is less common, as it clashes with glass-(fiber)-reinforced polymer). CFRPs are composite materials. In this case the composite consists of two parts: a matrix and a reinforcement. In CFRP the reinforcement is carbon fiber, which provides the strength. The matrix is usually a polymer resin, such as epoxy, to bind the reinforcements together. Because CFRP consists of two distinct elements, the material properties depend on these two elements. The fracture toughness of carbon fiber reinforced plastics is governed by the following mechanisms: 1) debonding between the carbon fiber and polymer matrix, 2) fiber pull-out, and 3) delamination between the CFRP sheets. Typical epoxy-based CFRPs exhibit virtually no plasticity, with less than 0.5% strain to failure. Although CFRPs with epoxy have high strength and elastic modulus, the brittle fracture mechanics present unique challenges to engineers in failure detection since failure occurs catastrophically. As such, recent efforts to toughen CFRPs include modifying the existing epoxy material and finding alternative polymer matrix. One such material with high promise is PEEK, which exhibits an order of magnitude greater toughness with similar elastic modulus and tensile strength. However, PEEK is much more difficult to process and more expensive. Despite its high initial strength-to-weight ratio, a design limitation of CFRP is its lack of a definable fatigue limit. This means, theoretically, that stress cycle failure cannot be ruled out. While steel and many other structural metals and alloys do have estimable fatigue or endurance limits, the complex failure modes of composites mean that the fatigue failure properties of CFRP are difficult to predict and design for. As a result, when using CFRP for critical cyclic-loading applications, engineers may need to design in considerable strength safety margins to provide suitable component reliability over its service life. Environmental effects such as temperature and humidity can have profound effects on the polymer-based composites, including most CFRPs. While CFRPs demonstrate excellent corrosion resistance, the effect of moisture at wide ranges of temperatures can lead to degradation of the mechanical properties of CFRPs, particularly at the matrix-fiber interface. While the carbon fibers themselves are not affected by the moisture diffusing into the material, the moisture plasticizes the polymer matrix. The epoxy matrix used for engine fan blades is designed to be impervious against jet fuel, lubrication, and rain water, and external paint on the composites parts is applied to minimize damage from ultraviolet light. The carbon fibers can cause galvanic corrosion when CRP parts are attached to aluminum. The primary element of CFRP is a carbon filament; this is produced from a precursor polymer such as polyacrylonitrile (PAN), rayon, or petroleum pitch. For synthetic polymers such as PAN or rayon, the precursor is first spun into filament yarns, using chemical and mechanical processes to initially align the polymer chains in a way to enhance the final physical properties of the completed carbon fiber. Precursor compositions and mechanical processes used during spinning filament yarns may vary among manufacturers. After drawing or spinning, the polymer filament yarns are then heated to drive off non-carbon atoms (carbonization), producing the final carbon fiber. The carbon fibers filament yarns may be further treated to improve handling qualities, then wound on to bobbins. From these fibers, a unidirectional sheet is created. These sheets are layered onto each other in a quasi-isotropic layup, e.g. 0°, +60°, or −60° relative to each other. From the elementary fiber, a bidirectional woven sheet can be created, i.e. a twill with a 2/2 weave. The process by which most CFRPs are made varies, depending on the piece being created, the finish (outside gloss) required, and how many of the piece will be produced. In addition, the choice of matrix can have a profound effect on the properties of the finished composite. One method of producing CFRP parts is by layering sheets of carbon fiber cloth into a mold in the shape of the final product. The alignment and weave of the cloth fibers is chosen to optimize the strength and stiffness properties of the resulting material. The mold is then filled with epoxy and is heated or air-cured. The resulting part is very corrosion-resistant, stiff, and strong for its weight. Parts used in less critical areas are manufactured by draping cloth over a mold, with epoxy either preimpregnated into the fibers (also known as pre-preg) or "painted" over it. High-performance parts using single molds are often vacuum-bagged and/or autoclave-cured, because even small air bubbles in the material will reduce strength. An alternative to the autoclave method is to use internal pressure via inflatable air bladders or EPS foam inside the non-cured laid-up carbon fiber. For simple pieces of which relatively few copies are needed (1–2 per day), a vacuum bag can be used. A fiberglass, carbon fiber, or aluminum mold is polished and waxed, and has a release agent applied before the fabric and resin are applied, and the vacuum is pulled and set aside to allow the piece to cure (harden). There are three ways to apply the resin to the fabric in a vacuum mold. The first method is manual and called a wet layup, where the two-part resin is mixed and applied before being laid in the mold and placed in the bag. The other one is done by infusion, where the dry fabric and mold are placed inside the bag while the vacuum pulls the resin through a small tube into the bag, then through a tube with holes or something similar to evenly spread the resin throughout the fabric. Wire loom works perfectly for a tube that requires holes inside the bag. Both of these methods of applying resin require hand work to spread the resin evenly for a glossy finish with very small pin-holes. A quicker method uses a compression mold. This is a two-piece (male and female) mold usually made out of aluminum or steel that is pressed together with the fabric and resin between the two. The benefit is the speed of the entire process. Some car manufacturers, such as BMW, claimed to be able to cycle a new part every 80 seconds. However, this technique has a very high initial cost since the molds require CNC machining of very high precision. The Airbus A350 XWB is built of 52% CFRP including wing spars and fuselage components, overtaking the Boeing 787 Dreamliner, for the aircraft with the highest weight ratio for CFRP, which was held at 50%. This was one of the first commercial aircraft to have wing spars made from composites. The Airbus A380 was one of the first commercial airliners to have a central wing-box made of CFRP; it is the first to have a smoothly contoured wing cross-section instead of the wings being partitioned span-wise into sections. This flowing, continuous cross section optimises aerodynamic efficiency. Moreover, the trailing edge, along with the rear bulkhead, empennage, and un-pressurised fuselage are made of CFRP. However, many delays have pushed order delivery dates back because of problems with the manufacture of these parts. Many aircraft that use CFRP have experienced delays with delivery dates due to the relatively new processes used to make CFRP components, whereas metallic structures have been studied and used on airframes for years, and the processes are relatively well understood. A recurrent problem is the monitoring of structural ageing, for which new methods are constantly investigated, due to the unusual multi-material and anisotropic nature of CFRP. In 1968 a Hyfil carbon-fiber fan assembly was in service on the Rolls-Royce Conways of the Vickers VC10s operated by BOAC. Specialist aircraft designers and manufacturers Scaled Composites have made extensive use of CFRP throughout their design range, including the first private manned spacecraft Spaceship One. CFRP is widely used in micro air vehicles (MAVs) because of its high strength to weight ratio. CFRPs are extensively used in high-end automobile racing. The high cost of carbon fiber is mitigated by the material's unsurpassed strength-to-weight ratio, and low weight is essential for high-performance automobile racing. Race-car manufacturers have also developed methods to give carbon fiber pieces strength in a certain direction, making it strong in a load-bearing direction, but weak in directions where little or no load would be placed on the member. Conversely, manufacturers developed omnidirectional carbon fiber weaves that apply strength in all directions. This type of carbon fiber assembly is most widely used in the "safety cell" monocoque chassis assembly of high-performance race-cars. Many supercars over the past few decades have incorporated CFRP extensively in their manufacture, using it for their monocoque chassis as well as other components. As far back as 1971, the Citroën SM offered optional lightweight carbon fiber wheels. Use of the material has been more readily adopted by low-volume manufacturers who used it primarily for creating body-panels for some of their high-end cars due to its increased strength and decreased weight compared with the glass-reinforced polymer they used for the majority of their products. CFRP has become a notable material in structural engineering applications. Studied in an academic context as to its potential benefits in construction, it has also proved itself cost-effective in a number of field applications strengthening concrete, masonry, steel, cast iron, and timber structures. Its use in industry can be either for retrofitting to strengthen an existing structure or as an alternative reinforcing (or pre-stressing) material instead of steel from the outset of a project. Retrofitting has become the increasingly dominant use of the material in civil engineering, and applications include increasing the load capacity of old structures (such as bridges) that were designed to tolerate far lower service loads than they are experiencing today, seismic retrofitting, and repair of damaged structures. Retrofitting is popular in many instances as the cost of replacing the deficient structure can greatly exceed the cost of strengthening using CFRP. CFRP can also be applied to enhance shear strength of reinforced concrete by wrapping fabrics or fibers around the section to be strengthened. Wrapping around sections (such as bridge or building columns) can also enhance the ductility of the section, greatly increasing the resistance to collapse under earthquake loading. Such 'seismic retrofit' is the major application in earthquake-prone areas, since it is much more economic than alternative methods. If a column is circular (or nearly so) an increase in axial capacity is also achieved by wrapping. In this application, the confinement of the CFRP wrap enhances the compressive strength of the concrete. However, although large increases are achieved in the ultimate collapse load, the concrete will crack at only slightly enhanced load, meaning that this application is only occasionally used. Specialist ultra-high modulus CFRP (with tensile modulus of 420 GPa or more) is one of the few practical methods of strengthening cast-iron beams. In typical use, it is bonded to the tensile flange of the section, both increasing the stiffness of the section and lowering the neutral axis, thus greatly reducing the maximum tensile stress in the cast iron. In the United States, pre-stressed concrete cylinder pipes (PCCP) account for a vast majority of water transmission mains. Due to their large diameters, failures of PCCP are usually catastrophic and affect large populations. Approximately 19,000 miles (31,000 km) of PCCP have been installed between 1940 and 2006. Corrosion in the form of hydrogen embrittlement has been blamed for the gradual deterioration of the pre-stressing wires in many PCCP lines. Over the past decade, CFRPs have been utilized to internally line PCCP, resulting in a fully structural strengthening system. Inside a PCCP line, the CFRP liner acts as a barrier that controls the level of strain experienced by the steel cylinder in the host pipe. The composite liner enables the steel cylinder to perform within its elastic range, to ensure the pipeline's long-term performance is maintained. CFRP liner designs are based on strain compatibility between the liner and host pipe. CFRP is a more costly material than its counterparts in the construction industry, glass fiber-reinforced polymer (GFRP) and aramid fiber-reinforced polymer (AFRP), though CFRP is, in general, regarded as having superior properties. Much research continues to be done on using CFRP both for retrofitting and as an alternative to steel as a reinforcing or pre-stressing material. Cost remains an issue and long-term durability questions still remain. Some are concerned about the brittle nature of CFRP, in contrast to the ductility of steel. Though design codes have been drawn up by institutions such as the American Concrete Institute, there remains some hesitation among the engineering community about implementing these alternative materials. In part, this is due to a lack of standardization and the proprietary nature of the fiber and resin combinations on the market. Carbon fibers are used for fabrication of carbon-fiber microelectrodes. In this application typically a single carbon fiber with diameter of 5–7 μm is sealed in a glass capillary. At the tip the capillary is either sealed with epoxy and polished to make carbon-fiber disk microelectrode or the fiber is cut to a length of 75–150 μm to make carbon-fiber cylinder electrode. Carbon-fiber microelectrodes are used either in amperometry or fast-scan cyclic voltammetry for detection of biochemical signaling. CFRP is now widely used in sports equipment such as in squash, tennis, and badminton racquets, sport kite spars, high quality arrow shafts, hockey sticks, fishing rods, surfboards, high end swim fins, and rowing shells. Amputee athletes such as Jonnie Peacock use carbon fiber blades for running. It is used as a shank plate in some basketball sneakers to keep the foot stable, usually running the length of the shoe just above the sole and left exposed in some areas, usually in the arch. A CFRP bicycle frame weighs less than one of steel, aluminum, or titanium having the same strength. The type and orientation of the carbon-fiber weave can be designed to maximize stiffness in required directions. Frames can be tuned to address different riding styles: sprint events require stiffer frames while endurance events may require more flexible frames for rider comfort over longer periods. 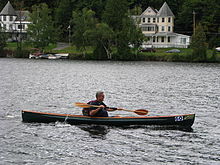 The variety of shapes it can be built into has further increased stiffness and also allowed aerodynamic tube sections. CFRP forks including suspension fork crowns and steerers, handlebars, seatposts, and crank arms are becoming more common on medium as well as higher-priced bicycles. CFRP rims remain expensive but their stability compared to aluminium reduces the need to re-true a wheel and the reduced mass reduces the moment of inertia of the wheel. CFRP spokes are rare and most carbon wheelsets retain traditional stainless steel spokes. CFRP also appears increasingly in other components such as derailleur parts, brake and shifter levers and bodies, cassette sprocket carriers, suspension linkages, disc brake rotors, pedals, shoe soles, and saddle rails. Although strong and light, impact, over-torquing, or improper installation of CFRP components has resulted in cracking and failures, which may be difficult or impossible to repair. The fire resistance of polymers and thermo-set composites is significantly improved if a thin layer of carbon fibers is moulded near the surface because a dense, compact layer of carbon fibers efficiently reflects heat. Musical instruments, including violin bows, guitar picks and pick-guards, drum shells, bagpipe chanters, and entire musical instruments such as Luis and Clark's carbon fiber cellos, violas, and violins; and Blackbird Guitars' acoustic guitars and ukuleles; also audio components such as turntables and loudspeakers. Firearms use it to replace certain metal, wood, and fiberglass components but many of the internal parts are still limited to metal alloys as current reinforced plastics are unsuitable. High-performance drone bodies and other radio-controlled vehicle and aircraft components such as helicopter rotor blades. Lightweight poles such as: tripod legs, tent poles, fishing rods, billiards cues, walking sticks, and high-reach poles such as for window cleaning. Dentistry, carbon fiber posts are used in restoring root canal treated teeth. Railed train bogies for passenger service. This reduces the weight by up to 50% compared to metal bogies, which contributes to energy savings. Laptop shells and other high performance cases. Archery, carbon fiber arrows and bolts, stock and rail. CFRPs have a long service lifetime when protected from the sun. When it is time to decommission CFRPs, they cannot be melted down in air like many metals. When free of vinyl (PVC or polyvinyl chloride) and other halogenated polymers, CFRPs can be thermally decomposed via thermal depolymerization in an oxygen-free environment. This can be accomplished in a refinery in a one-step process. Capture and reuse of the carbon and monomers is then possible. CFRPs can also be milled or shredded at low temperature to reclaim the carbon fiber; however, this process shortens the fibers dramatically. Just as with downcycled paper, the shortened fibers cause the recycled material to be weaker than the original material. There are still many industrial applications that do not need the strength of full-length carbon fiber reinforcement. For example, chopped reclaimed carbon fiber can be used in consumer electronics, such as laptops. It provides excellent reinforcement of the polymers used even if it lacks the strength-to-weight ratio of an aerospace component. In 2009, Zyvex Technologies introduced carbon nanotube-reinforced epoxy and carbon pre-pregs. Carbon nanotube reinforced polymer (CNRP) is several times stronger and tougher than CFRP and is used in the Lockheed Martin F-35 Lightning II as a structural material for aircraft. CNRP still uses carbon fiber as the primary reinforcement, but the binding matrix is a carbon nanotube filled epoxy. ^ a b c Courtney, Thomas (2000). Mechanical Behavior of Materials. United States of America: Waveland Press, Inc. pp. 247–249. ISBN 1-57766-425-6. ^ a b c d e f Chawla, Krishan (2013). Composite Materials. United States of America: Springer. ISBN 978-0-387-74364-6. ^ Ray, B. C. (1 June 2006). "Temperature effect during humid ageing on interfaces of glass and carbon fibers reinforced epoxy composites". Journal of Colloid and Interface Science. 298 (1): 111–117. Bibcode:2006JCIS..298..111R. doi:10.1016/j.jcis.2005.12.023. PMID 16386268. ^ Guzman, Enrique; Cugnoni, Joël; Gmür, Thomas (May 2014). "Multi-factorial models of a carbon fibre/epoxy composite subjected to accelerated environmental ageing". Composite Structures. 111: 179–192. doi:10.1016/j.compstruct.2013.12.028. ^ Scott, Alwyn (25 July 2015). "Boeing looks at pricey titanium in bid to stem 787 losses". www.stltoday.com. Reuters. Archived from the original on 17 November 2017. Retrieved 25 July 2015. ^ "How is it Made". Zoltek. Archived from the original on 19 March 2015. Retrieved 26 March 2015. ^ "Taking the lead: A350XWB presentation" (PDF). EADS. December 2006. Archived from the original (PDF) on 27 March 2009. ^ "AERO – Boeing 787 from the Ground Up". Boeing. 2006. Archived from the original on 21 February 2015. Retrieved 7 February 2015. ^ "Thermoplastic composites gain leading edge on the A380". Composites World. 3 January 2006. Archived from the original on 17 July 2009. Retrieved 6 March 2012. ^ Pora, Jérôme (2001). "Composite Materials in the Airbus A380 – From History to Future" (PDF). Airbus. Archived (PDF) from the original on 6 February 2015. Retrieved 7 February 2015. ^ Guzman, Enrique; Gmür, Thomas (dir.) (2014). "A Novel Structural Health Monitoring Method for Full-Scale CFRP Structures" (PDF). EPFL PhD thesis. doi:10.5075/epfl-thesis-6422. Archived (PDF) from the original on 2016-06-25. ^ "Engines". Flight International. 26 September 1968. Archived from the original on 14 August 2014. ^ "Red Bull's How To Make An F1 Car Series Explains Carbon Fiber Use: Video". motorauthority. Archived from the original on 29 September 2013. Retrieved 11 October 2013. ^ Howard, Bill (30 July 2013). "BMW i3: Cheap, mass-produced carbon fiber cars finally come of age". Extreme Tech. Archived from the original on 31 July 2015. Retrieved 31 July 2015. ^ Petrány, Máté (17 March 2014). "Michelin Made Carbon Fiber Wheels For Citroën Back In 1971". Jalopnik. Archived from the original on 18 May 2015. Retrieved 31 July 2015. ^ L:aChance, David (April 2007). "Reinventing the Wheel Leave it to Citroën to bring the world's first resin wheels to market". Hemmings. Archived from the original on 6 September 2015. Retrieved 14 October 2015. ^ Ismail, N. "Strengthening of bridges using CFRP composites." najif.net. ^ Rahman, S. (November 2008). "Don't Stress Over Prestressed Concrete Cylinder Pipe Failures". Opflow Magazine. 34 (11): 10–15. Archived from the original on 2 April 2015. ^ Pike, Carolyn M.; Grabner, Chad P.; Harkins, Amy B. (4 May 2009). "Fabrication of Amperometric Electrodes". Journal of Visualized Experiments (27). doi:10.3791/1040. PMC 2762914. ^ "ICC and Kookaburra Agree to Withdrawal of Carbon Bat". NetComposites. 19 February 2006. Retrieved 1 October 2018. ^ "Carbon Technology". Look Cycle. Archived from the original on 30 November 2016. Retrieved 30 November 2016. ^ "The Perils of Progress". Bicycling Magazine. 16 January 2012. Archived from the original on 23 January 2013. Retrieved 16 February 2013. ^ "Busted Carbon". Archived from the original on 30 November 2016. Retrieved 30 November 2016. ^ Zhao, Z.; Gou, J. (2009). "Improved fire retardancy of thermoset composites modified with carbon nanofibers". Sci. Technol. Adv. Mater. 10 (1): 015005. Bibcode:2009STAdM..10a5005Z. doi:10.1088/1468-6996/10/1/015005. PMC 5109595. PMID 27877268. ^ "Carbon fibre reinforced plastic bogies on test". Railway Gazette. 7 August 2016. Archived from the original on 8 August 2016. Retrieved 9 August 2016. ^ Lomov, Stepan V.; Gorbatikh, Larissa; Kotanjac, Željko; Koissin, Vitaly; Houlle, Matthieu; Rochez, Olivier; Karahan, Mehmet; Mezzo, Luca; Verpoest, Ignaas (February 2011). "Compressibility of carbon woven fabrics with carbon nanotubes/nanofibres grown on the fibres". Composites Science and Technology. 71 (3): 315–325. doi:10.1016/j.compscitech.2010.11.024. ^ Hans, Kreis (2 July 2014). "Carbon woven fabrics". compositesplaza.com. Retrieved 2 January 2018. ^ "Zyvex Performance Materials Launch Line of Nano-Enhanced Adhesives that Add Strength, Cut Costs" (PDF) (Press release). Zyvex Performance Materials. 9 October 2009. Archived from the original (PDF) on 16 October 2012. Retrieved 26 March 2015. ^ Trimble, Stephen (26 May 2011). "Lockheed Martin reveals F-35 to feature nanocomposite structures". Flight International. Archived from the original on 30 May 2011. Retrieved 26 March 2015. ^ "AROVEX™ Nanotube Enhanced Epoxy Resin Carbon Fiber Prepreg – Material Safety Data Sheet" (PDF). Zyvex Performance Materials. 8 April 2009. Archived from the original (PDF) on 16 October 2012. Retrieved 26 March 2015. 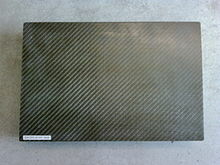 Wikimedia Commons has media related to Carbon fiber reinforced plastic. This page was last edited on 23 March 2019, at 23:33 (UTC).